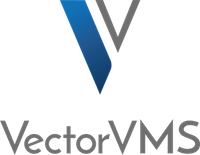 VectorVMS, a former division of PeopleFluent, delivers software and services to help businesses optimize their contingent workforce programs. Drawing on 20 years of experience, we help clients and MSP partners control costs, maintain compliance, and drive quality and efficiency—throughout the contingent labor lifecycle. VectorVMS offers flexible delivery models, enabling clients to manage strategic sourcing in-house, through an MSP, or with support from our experienced program managers. A part of Learning Technologies Group plc (LTG), VectorVMS also powers a total talent ecosystem that gives clients a holistic view of their workforce.